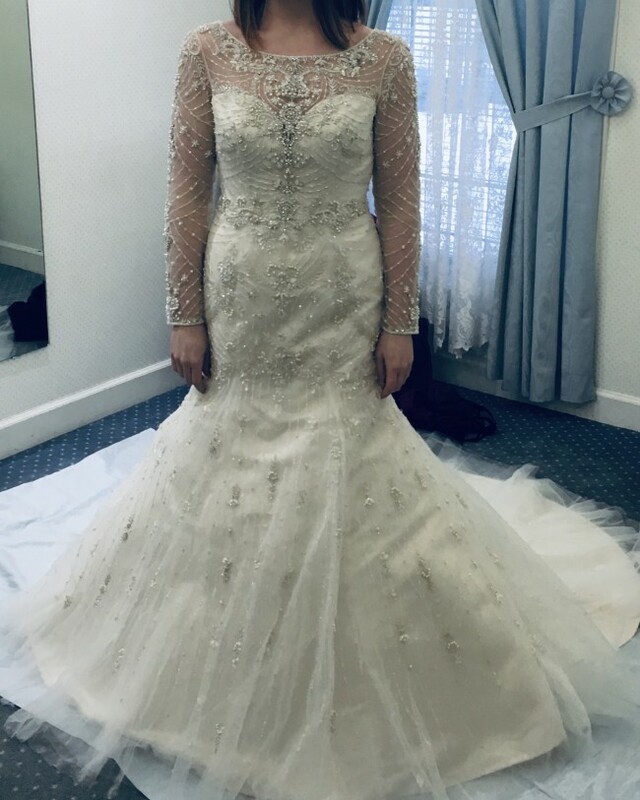 Brand new, never worn outside of bridal shop!! No alterations!! This beautiful gown was customized for me by a Casablanca designer. Originally the base model dress came with cap sleeves, but the designer worked to make the dress with fully beaded/crystal sleeves. It was an awesome experience and the original drawings are shown in the photos. The base style is 2220, but the dress is truly one-of-a kind and can be found nowhere else. Tags are still attached, size 12. Street size is closer to an 8 or 10 and will come with a trumpet crinoline skirt to add more flare if you desire.